WASHINGTON — Google’s innovative self-driving car may be receiving significant pushback from automakers left in Detroit, formerly known as “Motor City” at its peak. Detroit is far from their illustrious history and glory days, having declared bankruptcy due to significant and heavy pension costs. Reuters reported that the Silicon Valley-based search engine giant may not get the support of major automakers in Detroit, where they feel that Google’s arrogance is overbearing. They had met in 2012 to discuss the possibility of self-driving cars, but both automakers and Google staffers were on different wavelengths, said Reuters. 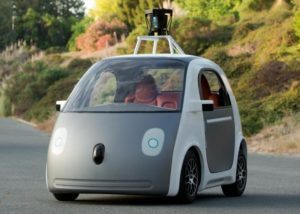 Now, the automakers see Google as a threat to their business model, when Google acknowledged that it will need help from Detroit automakers to make their dream possible. The car received a lot of buzz in the media, but it is still far from being set in stone as a mode of transportation.